Minimum Carnage, a crossover between Venom and Scarlet Spider, kicks off this October. 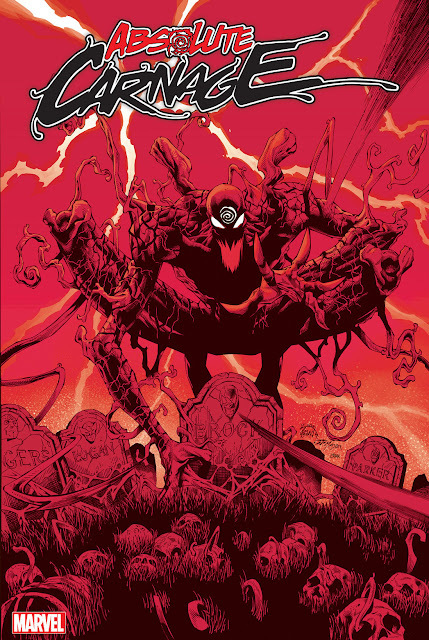 Carnage escapes prison into the Microverse and these two have to team up to take him down. Spider-Man will not "pull the fat out of the fire" in Minimum Carnage per Cullen Bunn. This is a problem Venom and Scarlet Spider specifically need to deal with. Cullen noting you can still see Eddie Brock as Toxin in Venom, and he will continue to play a role in Venom's story.